Flic's smart Bluetooth buttons will be familiar to GNC readers as I reviewed them back in 2017. To be honest, the buttons aren't that smart but it's the clever smartphone software that does all the cool stuff. Consequently, if the Flic button is out of range of the owner's smartphone, it's somewhat useless. Fortunately Flic recognised this and announced an Indiegogo campaign for a Flic Hub that would take away the reliance on a nearby smartphone. Todd clicks with Elin to find out what's new at Flic. The Hub can communicate with more Flic buttons so in theory, there could be hundreds of buttons in a location, and the integrity of the overall system is improved without dependence on the smartphone vendors. This creates a more reliable and dependable platform that enterprise customers are looking for, taking Flic beyond smart buttons. 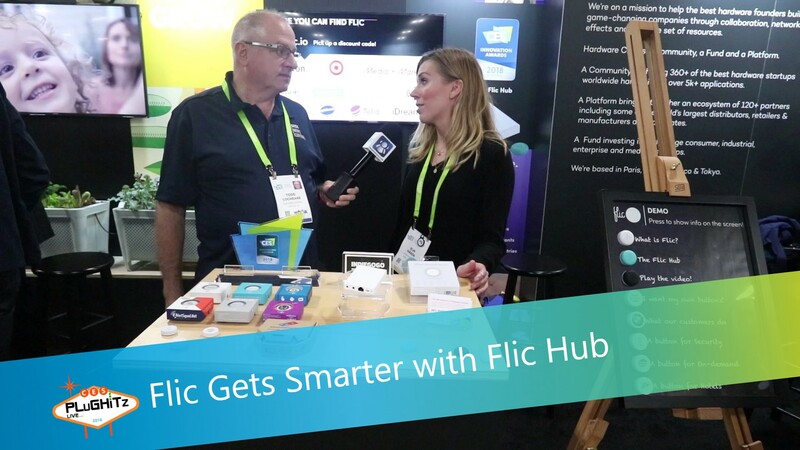 The Flic Hub is expected to go on-sale shortly.